Q) Why did I have Panda Anti-Virus installed in the first place? Panda has consistently been voted one of the best Anti-Virus programs on the market and won several industry awards. Because Panda runs “in the cloud” it is a very light weight application that runs on a wide range of PCs without disrupting performance. Lennox IT have relied on Panda for several years as a first choice anti-virus solution, especially for older machines where performance can be an issue. We became aware of the problem very soon after it arose and quickly worked at our own offices to diagnose the fault and develop a solution. Our fix – simply to load the computer into safe mode and use Panda’s own installer utility to replace damaged files – was tested on our own infected machines and then rolled out to clients over the next 24 hours. 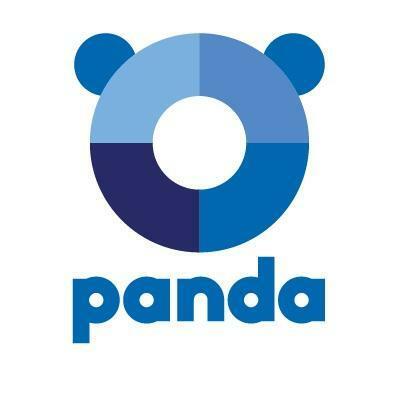 At around 9:00pm on 11th March Panda Security also released their own repair application which we rolled out to some clients on Thursday 12th March. Q) How come some PCs were completely broken and others had no problems at all? The issue caused panda to incorrectly flag system files as viruses for approximately one hour however the damage largely depended on which files Panda was scanning at the time. In many cases Panda immediately attacked itself, destroying the software and stopping the problem at source. In other cases Panda attacked low level Windows/Systems files first and caused major system instability before finally turning on itself. Q) Is my computer completely fixed now? Yes and No. The fix we deployed (and the fix Panda themselves have supplied) restored most files back from quarantine and will repair the majority of problems. However in some cases simply copying the file back is not enough and sometimes system files cannot be copied back or their original location cannot be determined. Until Panda release an alternate fix, we have done everything we can to restore your systems back to a fully healthy state and in 99% of cases we do not expect further problems as a result of this incident. However in some cases there will be lingering problems and we will work with you over the next few weeks to make sure that these are dealt with promptly. In rare cases the PC will need to be rebuilt and Sam or I should have explained this to you when we removed your PC. We obviously have a bit of a back-log but we will endeavour to get these machines back to you as soon as we can from Monday 16th March. Q) Have I lost anything I was working on? Is my data at risk? No, absolutely not. Modern virus scanners tend to focus solely on applications not data so it was only program files that were affected. Any documents or files that you were working on during this time will be completely safe. Q) Should I keep using Panda Anti-Virus? They say that lightning doesn’t strike twice in the same place but obviously this has greatly undermined our trust in Panda Security and we have already switched some high priority machines over to an alternate virus scanner. Ultimately its your choice whether you want to continue with Panda or not and we can help you to install an alternate virus scanner if you wish. Panda is still the best choice for older machines but we would completely understand if you want to make the switch. We are aware that many machines are currently running without a virus scanner following this incident and we will be around over the next week to fix this. Q) What can we do to stop this happening again in the future? Unfortunately there is nothing we can do to protect against something like this happening, hopefully it is such a high profile failure that all security companies will take note and put safe guards into their own procedures to prevent a repeat incident. It does however demonstrate the importance of backups so if you don’t already have a adequate backup system in place then please speak with Sam or I and we can talk you through the different solutions we recommend. We will also be scheduling in an earlier-than-normal housekeeping check for those of you running our backup system so we can make sure everything is doing what it should. If there’s anything else you want to ask then don’t hesitate to get in contact. Hi John, no this is not entirely correct. The incident that occurred in this post was due to Panda pushing out a bad “virus definition” which are basically the templates which Panda uses to match files against known viruses. This particular template had a fault which meant that Panda flagged important system files (including itself) as a virus and consequently moved these files into its virus vault. By doing this it caused the system to become unstable and in some extreme cases prevented the system from booting up correctly. Panda identified the bad definition file quite quickly and immediately retracted it so despite all the problems caused, this was an isolated incident and the Panda Virus scanner does still work well in the majority of cases. If your PC was new then it will not have been affected by this issue and Panda will not be causing these problems with your PC.